Rushton Paray was born in the rural, energy rich, fishing village of Mayaro to parents Homer and Basdaye. He is married to Nelisha and has three daughters. Rushton attended St. Stephen’s College. He holds qualifications in Fiber Design, Optical CATV Design & Installation, Wireless Network Design and Building Wi-Fi Networks. He possesses a Masters degree in Business Administration and is a Businessman/ Entrepreneur. His special skills are in the tourism, ICT and telecommunications industry within the energy sector. His community work began with the Lions Club of Mayaro where he has been a member for over 20 years. He has served as Interim Chairman of the Mayaro Business Association, Member of the Telecommunications Society and Member of the Mayaro Secondary School Local Board. 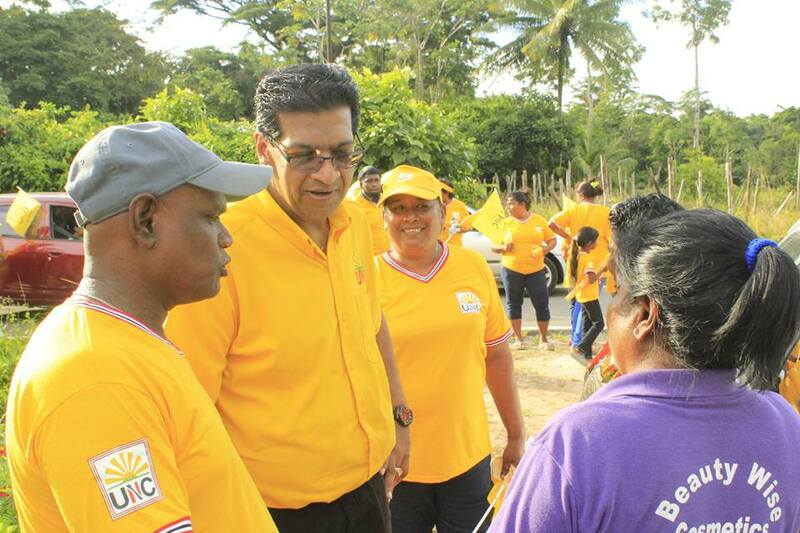 The vision of Rushton Paray is representation of the people of Mayaro, which he sees as a collaborative process. All stakeholders will work together to make the constituency, one that Trinidad and Tobago will be proud of. His dedication, managerial skills, vision and proven track record of the ability to deliver and his desire for ensuring opportunities for the youths, will ensure that the vision of the Honourable Prime Minister, that Mayaro/Rio Claro becomes the newest addition as one of the seven growth poles in Trinidad and Tobago, will be realised. From Guayaguayare to Poole, from Poole to Biche, from Biche to Kernaham Village, the support is tremendous and this supports drives this Atlantic Powerhouse, Rushton Paray, to be the best representative for a modern Mayaro.